Scared mud season is just too muddy? Don’t worry! Despite its dingy reputation, there are many surprising reasons that locals consider May through June to be one of their favorite times of year here. Ever visited Breckenridge during the holidays or Fourth of July? If so, you already know just how mobbed this small town gets. Breckenridge is 7 miles long and includes one of the world’s best ski resorts, which brings a lot of tourism. Although there are significant peak seasons that bring people from all over the world, there is also a “mud” season in between winter and summer that offers a great alternative to enjoying a Breckenridge vacation! During peak seasons it can be almost impossible to find lodging in Breckenridge unless you plan far in advance. Not only can it be hard to find a place to stay, the prices during May are super affordable and the variety of options are abundant. 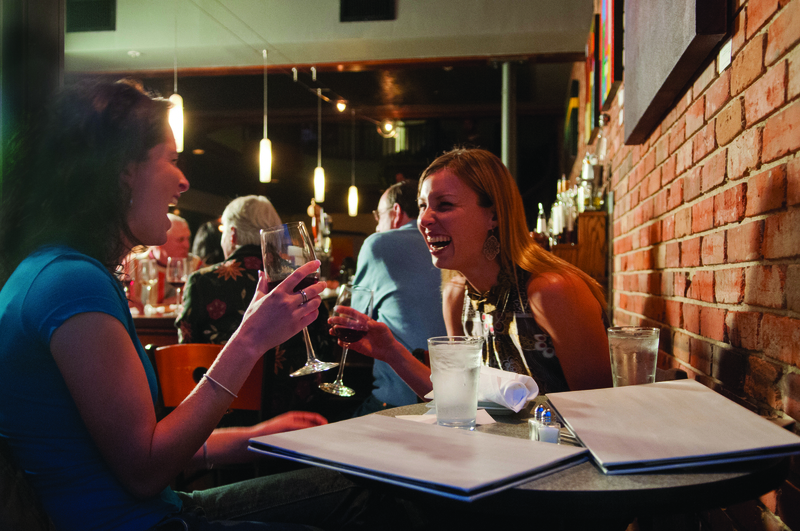 Since there is also a lag of tourism in Breck during this time, most restaurants offer great deals. Top restaurants offer 2 for 1 deals and some even ½ off deals. Eat at some of the finest restaurants and save BIG! 2.) Quiet town – no crowds and lots of PARKING! If you have ever experienced Breckenridge, you will know that there is a shortage of parking in the area. The town has a three hour parking limit to try and alleviate some of congestion and frustration of finding a place to park. During the peak seasons you can spend 30 minutes or more just finding a place to park. Come visit during May and early June and you will not have an issue. There are more than enough spots to park and you can easily maneuver through town. It is a local’s favorite time of year because of the peace and quit. The town turns in sanctuary that brings a new appreciation for the surrounding Rocky Mountains. One of the greatest perks of vacationing in Breck during mud season is the absence of traffic on I – 70. This major highway is jam packed all winter and over peak summer seasons. What would usually take an hour of travel from Denver can take up to five hours! Visiting during mud season keeps you out of the car and exploring more of this historic town! Although the ski resort is closed during most of these months, there are tons of other activities to explore during mud season in Breck. The number one activity to do during the “run off” season is rafting. White water rafting down the Colorado River during the mud season is a must do. The rapids are large and the scenery of the Colorado River and surrounding area will have you in awe. If you want to explore the beauty of the mountains, this is the way to do it. If you still want to experience the snow, try snowshoeing! There is typically still snow melting this time of year which makes it possible to snow shoe at high elevations. If you are ready to get out hiking, there are still hikes you can explore, but make sure to bring some hiking boots as there will be some mud. Another fun activity to try is fishing! This popular Colorado sport is great family fun activity. The rivers and lakes in the high country are filled with natural trout! Mud season in Breckenridge has some mud of course, but not enough to ruin your adventure in the high country. Take a local’s advice; visit Breckenridge during mud season and take advantage of all the perks during this time of year! Your wallet and your sanity will thank you!